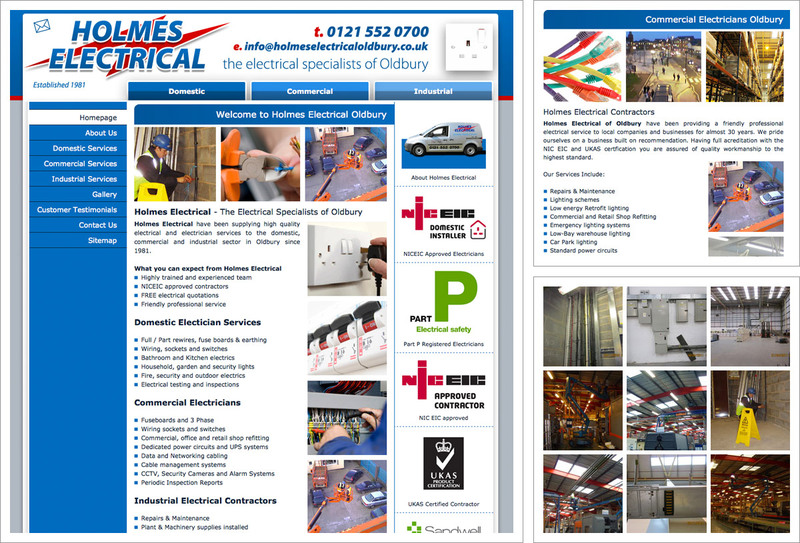 We’ve helped Oldbury based electrical specialists Holmes Electrical get themselves online. Holmes Electrical provide domestic, commercial and industrial electrical services, installations and repairs throughout Oldbury and Sandwell. Holmes Electrical, established in 1981 didn’t have a website and came to Pedleyonline following a customer recommendation. We worked closely with Steve Holmes to create a website that reflected all aspects of their electrical business incorporating their existing company branding.